There's a saying that Koreans live off the strength of rice. People greet each other by asking if they've eaten. Meals are more than just a way to fill an empty stomach — the carefully set table at each meal represents the culture of Korean life, and the Korean spirit. Icheon, Gyeonggi Province, is an area famous for its rice. The tables here are packed with rice, soup, and various side dishes. In the past, kings were served with dishes made with ingredients from all over the country, and the tables here resemble the royal meals. 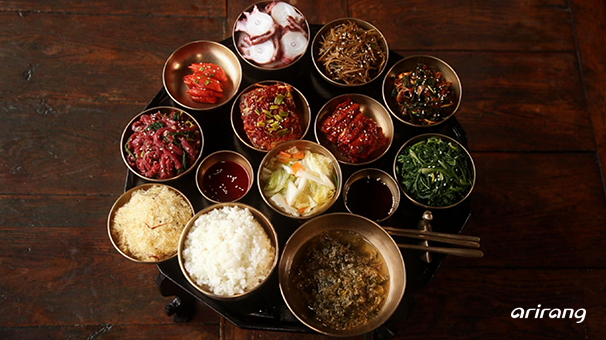 Why do Koreans lay all the dishes on the table at once? 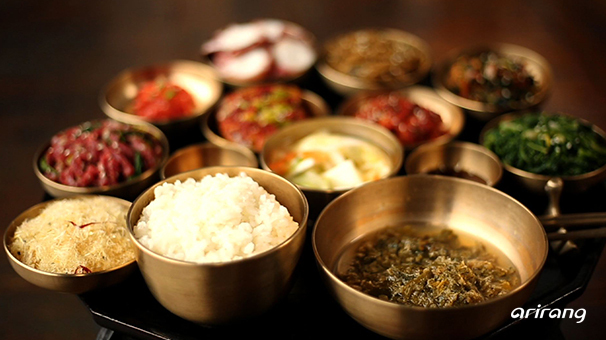 Since long ago, Koreans have been cooking with local specialty products. In Yang-gu, Gangwon-do Province, the specialty is siraegi, a food ingredient made by drying radish leaves in winter. In the past, Koreans would turn to siraegi to keep them full in hard times. Today it is a versatile ingredient used to make rice, soups, and side dishes. 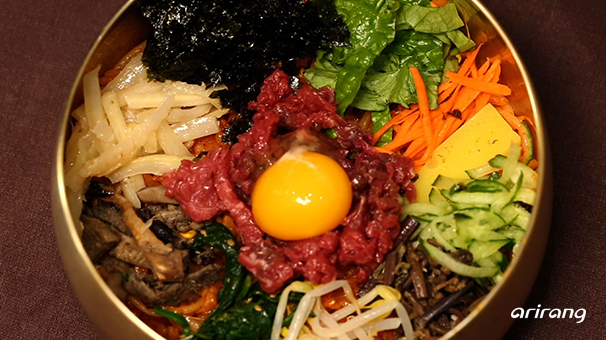 Today, we explore the Korean table, reflecting Korea's past and present and consistent in its significance for Koreans from all walks of life.